At NRS, we pride ourselves on our commitment to providing the finest aggregate supply, waste management and haulage services throughout the Midlands. Formed in 2005, we have gone from strength to strength, expanding our team, our facilities and our fleet to ensure we can consistently build on the customer service we provide. Supplying aggregates, clays, sands, topsoil, and ready mix concrete we only deal in the finest materials and the best possible service. 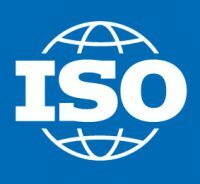 We meet all required ISO 9001, 14001 and 18001 standards on our sites and all our operators are fully licensed.